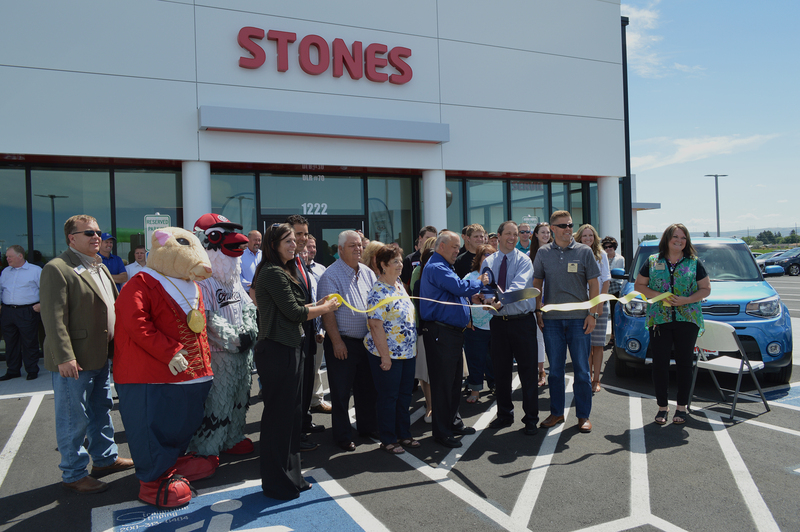 Congratulations to Stones Kia for their beautiful new state of the art facility. Bateman-Hall, Inc. appreciates the opportunity to be the General Contractor for this fantastic company. Mitch and Blake Loveland were wonderful to work with. Their commitment to customer & employee satisfaction showed during the entire construction process. The facility boasts a 11,000 sq/ft Service Department complete with 14 general service bays, 2 lube bays, detail center and car wash. In addition, their gorgeous showroom has a roomy welcoming feel. Our experience with Stones gave us so much confidence in the Kia Brand that we bought a beautiful new Kia Optima. It has been a fantastic car!